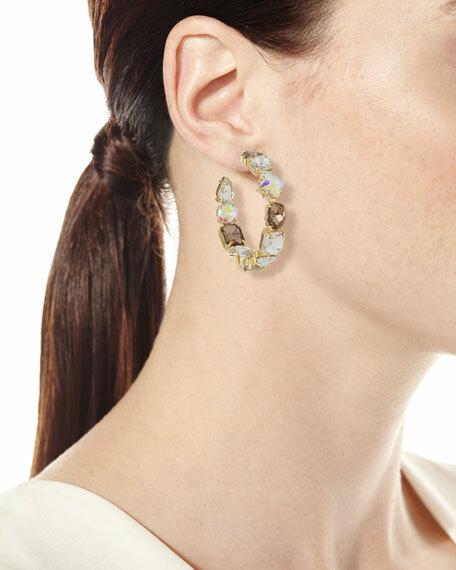 Isadora small hoop earrings by BaubleBar. Shiny yellow golden plated hardware. Interior and exterior glass stones. For in-store inquiries, use sku #2781052. Alexis Bittar liquid metal orbit hoop earrings. Polished silvertone sculpted orbit hoops. From the Must-Have Collection. Post backs for pierced ears. Approx. 1.8"L drop. 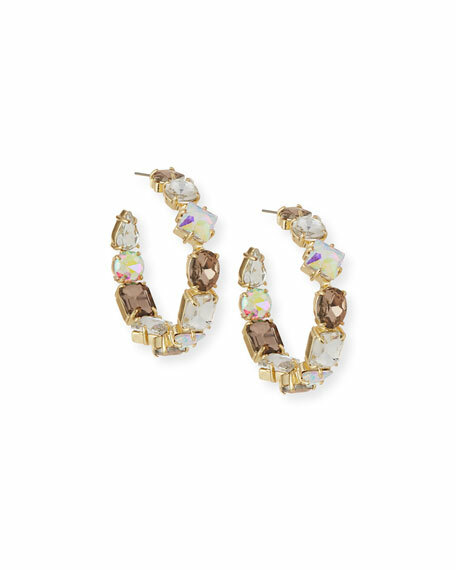 Emma mini hoop earrings from BaubleBar. Shiny golden plating with beaded hoops. Mini hoop posts with interlocking drops. Acrylic hoops with glass seed beads. Titanium posts backs for pierced ears. Approx. 1.5"L; 1.1"W. Imported.